You MUST follow the instructions below to complete the registration process! Step 2: Hit DETERMINE MEMBER STATUS. Step 5: Proceed by entering the number of individuals you are registering in the MEMBER RATE column with the "0"
Step 6: Scroll down and hit continue. Step 7: Complete the registration process for each individual you are registering. All fields with an * must be completed to proceed. Fundraising is fundamental to our advocacy work, and we need your help. RIVHSA’s Child Advocacy Fund (CAF) campaign supports advocacy activities designed to move forward public policy agendas at the state and national level through public campaigns, civic education, informational materials, outreach and other exercises. All campaign proceeds are used to support advocacy activities not association operating budgets. 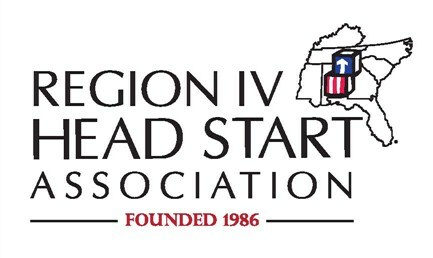 Our regional campaign goal is to raise one dollar for every funded enrollment slot in Region IV, and RIVHSA engages the active participation of its affiliates in the annual campaign drive. Get involved today! Every child, regardless of circumstances at birth, has the ability to succeed in life. For many children, Early Head Start and Head Start is a window of opportunity for their future success. Help us in our mission to support the important and necessary work of Early Head Start and Head Start programs by donating today then sharing our story with family and friends. Enter the email address, hit DETERMINE MEMBER STATUS(it will show non-member pricing PLEASE ignore ONLY if you are a RIVHSA Member and proceed by selecting MEMBER pricing.) This system DOES NOT have the individual email addresses of all programs who may be listed as a MEMBER. Scroll down and select the Ad space you wish to purchase and then hit continue. You will then be able to complete the registration process. Scroll down and enter the type of membership you are purchasing and hit continue. You will then be able to complete the registration process for each individual you are registering.